Join YPT for some truly Red Tourism and travel to the unexplored hinterlands of the Communist revolution! This tour takes you from the seat of Communist power Beijing to the ancient capital Xi’an, then north through Yan’an, the revolutionary Red Base of Chairman Mao, the CCP and the Red Army, combining the cities of Beijing and Xi’an with a tour through the Chinese countryside in northern Shaanxi, a part of China nearly no tourists ever see. With our YPT China Tours leader, fluent in Chinese and an expert on Maoist history, we see the museums and historical buildings of Chairman Mao’s time in Yan’an, and travel through the countryside of the old base area, spending a night in Zichang county in a rural ‘cave house’ where we can chat with veterans of the Red Army. We hike through the valleys of the ‘yellow earth plateau’ where the communists took shelter from Japanese air raids and fought the Nationalist army of Chiang Kai-shek. We also check out the village where President Xi Jinping spent his years when ‘sent down’ to the countryside in the Cultural Revolution. We also visit the Mao Zedong Mausoleum and the museums of Beijing and hang out in Xi’an for a couple of nights, looking around the Terracotta Warriors and also the hills where the Xi’an Incident took place, seeing the very cave where Chiang Kai-shek hid in his underpants from his own generals! This trip follows on from our North Korean Party Foundation Day Tour. Discounts for booking both tours available. Meet at 2pm in the foyer of the Beijing Zhong Gu hotel for pre-tour orientation. 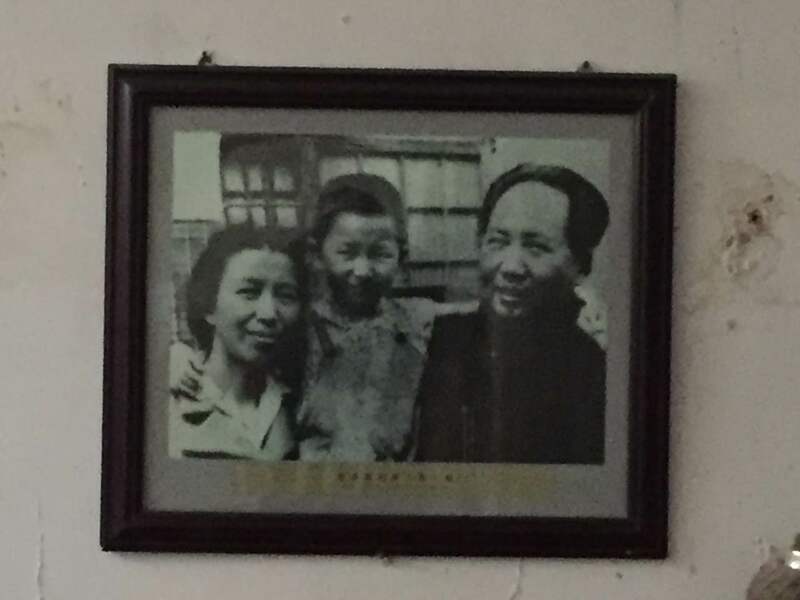 Visit the revolutionary writer Lu Xun’s house in a typical Beijing ‘hutong’ lane. Climb Jingshan for sunset views over the Forbidden City and Tiananmen Square. Dinner of local Beijing specialties and overnight in Beijing. Up nice and early to visit the Mao Zedong Mausoleum in the middle of Tian’anmen Square where the Chairman’s body lies in state. Visit the Chinese History Museum adjacent to Tiananmen Square to see the CCP’s current view of ‘the great restoration’ of the Chinese people. Lunch of Beijing zhajiang noodles. Take the 4 hour high-speed rail to Xi’an (14:00-18:23). Check in to the hotel. Wander around the centre of the city taking in the Bell Tower, the Muslim Quarter and the South Gate of the city walls. Grab a bowl of mutton broth and Xi’anease bread or any of the various street food on show in the Muslim quarter market. Head out of town to the Terracotta Warriors and Horses – the UNESCO heritage site where the first emperor of China, Qin Shihuang, prepared for his journey into the afterlife, a must-see for any visitor to China. Climb up Mt Lishan, the site of the arrest of Chiang Kai-shek by his own generals in the Xi’an Incident, including the cave where the Generalissimo fled to in his underpants in the middle of the night. Dinner and overnight in Xi’an. High-speed Rail to the city of Yan’an (08:28-10:48). Tour of the site of the Nanniwan agricultural cooperative where Mao’s communists first started practicing large-scale communal rural work. Visit the excellent Yan’an Revolutionary Museum recently renovated and complete with huge Yan’an era Chairman Mao statue. Tours of the Zaoyuan and Wangjiaping revolutionary sites where Mao made his base for ten years. Visit the various rooms the Chairman stayed in and sit at the table he made his infamous “nuclear weapons are paper tigers” comment. 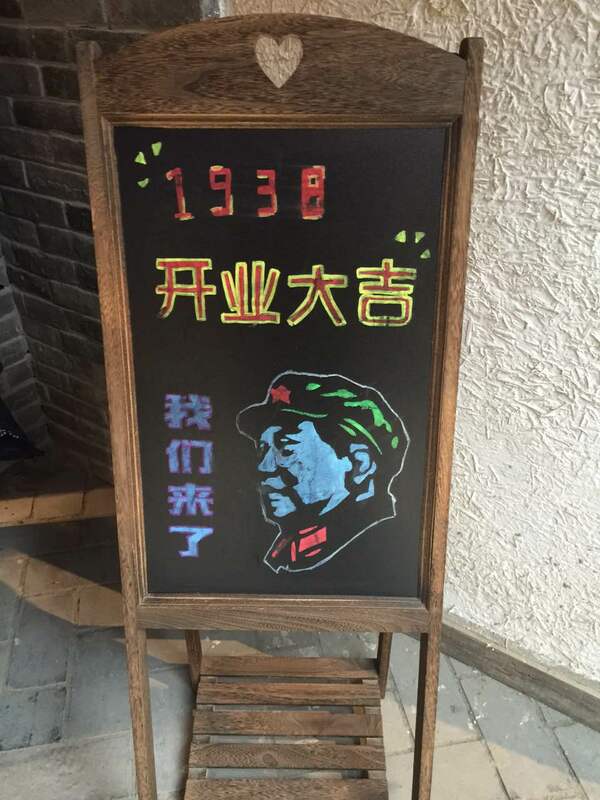 Stop in at Yan’an 1938, a recreated Yan’an town of the 1930s complete with revolutionary memorabilia, local snacks and the possibility of seeing a revolutionary opera. Our local driver will take us out of Yan’an city to Liangjiahe (1.5 hours). This is the village where current President Xi Jinping spent a few years of his youth when he was ‘sent down’ to the countryside during the Cultural Revolution, including the cave house where he lived. Drive on to Zichang County (1 hour), renamed after one of the early communist martyrs Xie Zichang, whose early communist work made it possible for Mao’s Red Army to establish a base in northern Shaanxi. Check in to the hotel and lunch in Zichang county town. Visit the Xie Zichang memorial gardens and museum. Visit the site of the important Wayaobao conference where Mao formulated the strategy of making alliance with the Nationalists against the Japanese. 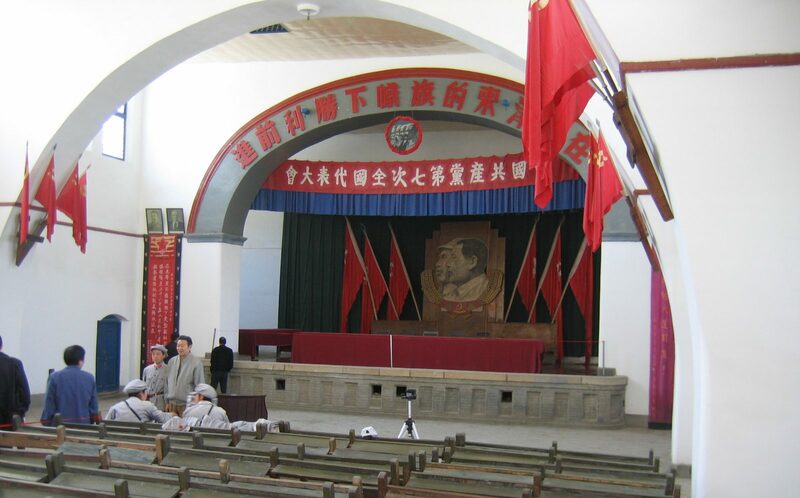 Visit the Revolutionary University founded in Zichang by the communists. Drive out to Anding old town (30 mins). Visit Shigong Temple, an unrestored near 1000 year old Song dynasty temple dug out from the hillside complete with statues beheaded during the Cultural Revolution. Continue to Anding, a small, historical town right in the northern Shaanxi countryside where we can see the old Qing dynasty ‘yamen’ or imperial hall and what remains of the old town walls. Check in to the rural guesthouse, built in the style of the ‘yaodong’ cave houses, which many locals still live in, and have a lunch of rural local foods. Walk up the hillside around Anding town, where the Guomindang and CCP fought battles in the valley, and we can still see the CCP sniper nests. Evening in a rural guesthouse where we might have the chance to chat with local Red Army veterans of the civil war. Look around the local countryside and see if any of the locals invite us in for tea! Visit the birthplace and cemetery of revolutionary martyr Xie Zichang. His old cave house is still built into the hillside, even though Chiang Kaishek tried to destroy it. Drive back to the county town for lunch. Free afternoon to wander around the town square or grab a coffee, and buy provisions for the train. We’ll have an evening meal and goodbye drinks! Night train back to Beijing (00:01-09:29). 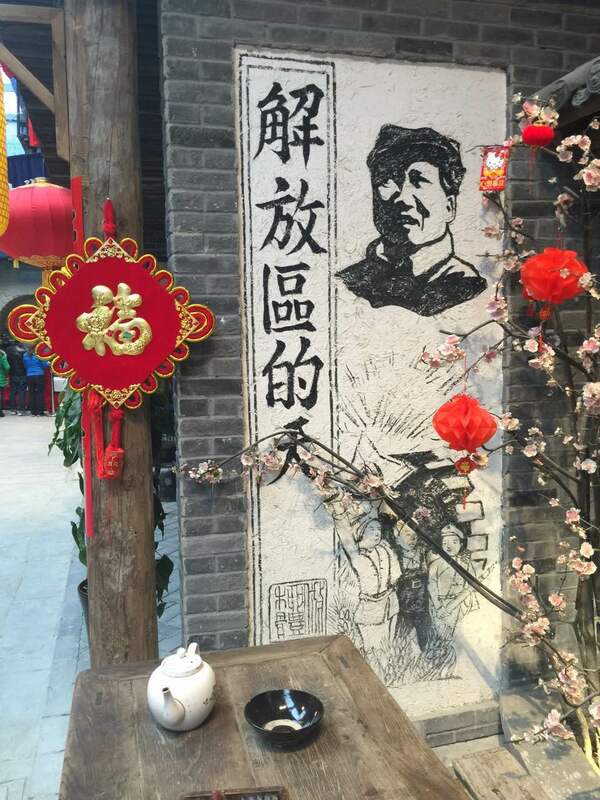 Visit the revolutionary sights of Yan’an, including Mao’s own cave houses and conference halls – if we’re lucky Mao Zedong’s doppelganger will be there to meet us and take photos!